hey, i like junk food. too bad they are called junk, cause they taste good. gigi- if you don't eat them every single day of the year, I personally don't believe it's all that bad. That's one potato with the "WORKS!" Siiiiiiiiigh! 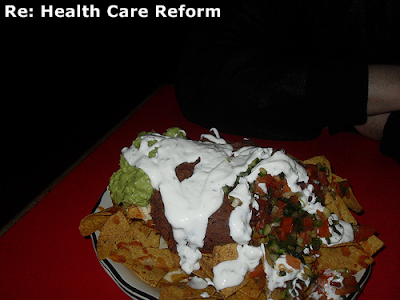 This whole health care thing is so upsetting it's liable to make me gain weight. 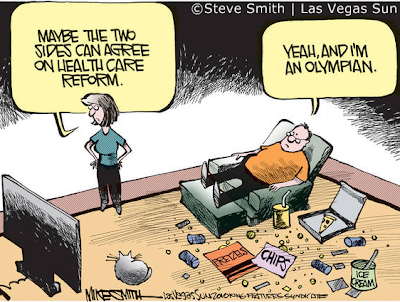 Is it such a hard concept for people to KNOW we need some kind of reform and we really DON'T have the best health care system in the world? Kay- didn't HMSA just announce they're raising rates 7.8 percent? I thinking that sure universal health care may raise premiums in the near term, but that would be peanuts compared to the hike by the health care industry in the next decade.